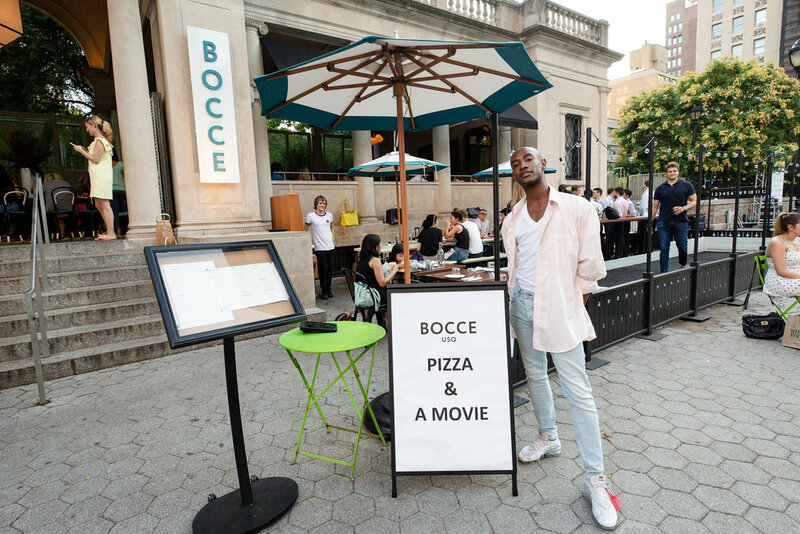 Last year, Bocce Union Square brought the neighborhood everything from al fresco Aperol Spritzes and Negroni Slushes, to world class pizza, competitive bocce games, and rosé all day. We honestly don't know how we made it through the winter without them! 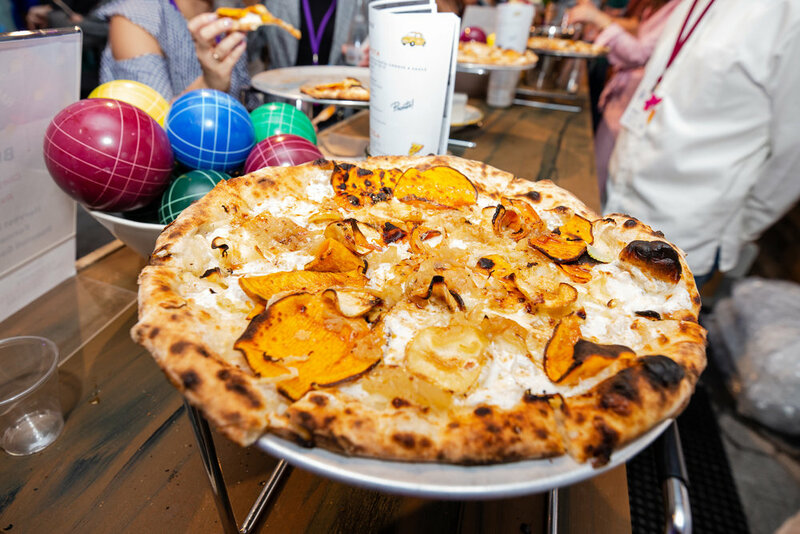 Fortunately, Bocce is back for the 2019 season, opening officially on Monday, April 22 (Earth Day!). 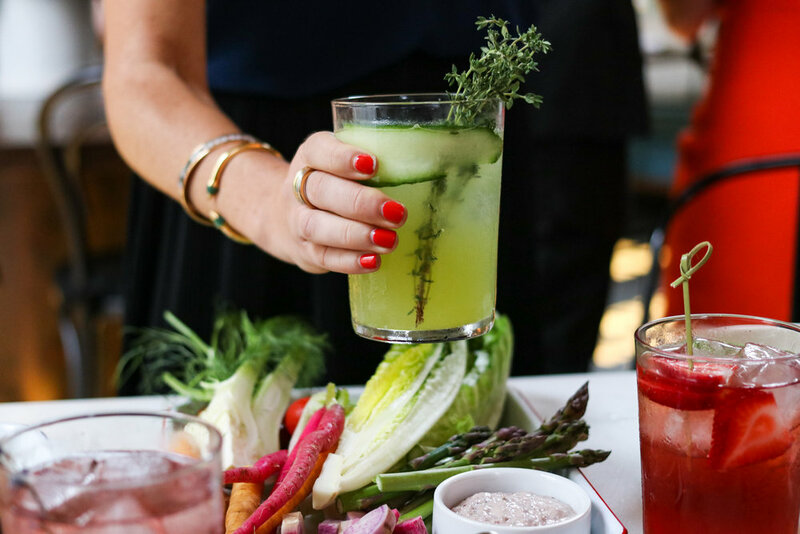 Read on for details on brand new menu items, drinks, and community events. 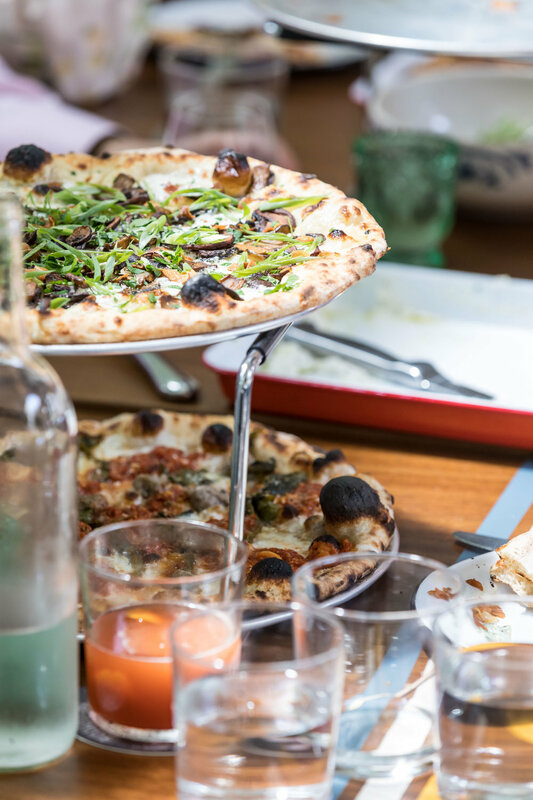 Bocce is still serving crazy-good/even-better pizza from NEW executive chef Chris Lien, who studied under famed pizza consultant Anthony Falco at Brooklyn's beloved Roberta's Pizza. 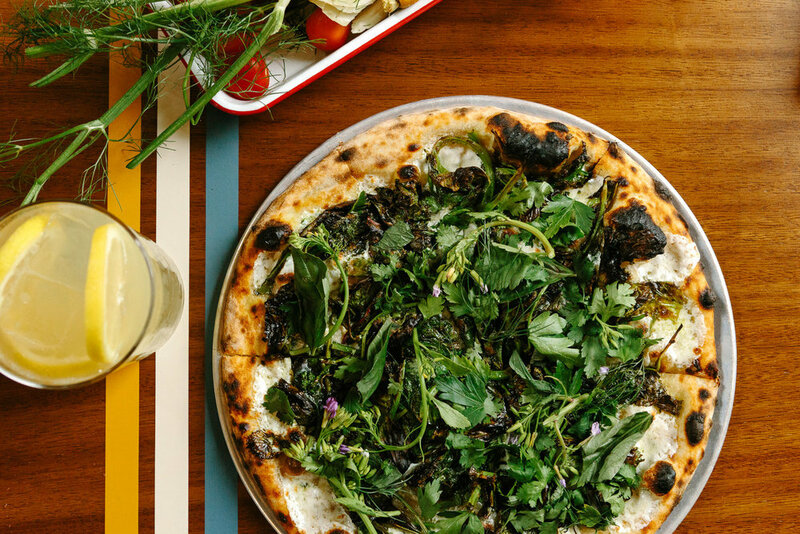 Think classics like a traditional Cheese with Tomato, Oregano, Fresh Mozzarella, Pecorino, Parmigiano; “The Farm” with seasonally rotating toppings from the Greenmarket; Pepperoni with Tomato, Aged Mozzarella, Pecorino, Oregano, Pickled Chilis; or Roasted Mushroom with Fresh Mozzarella, Bayley Hazen Blue, and Fried Garlic. 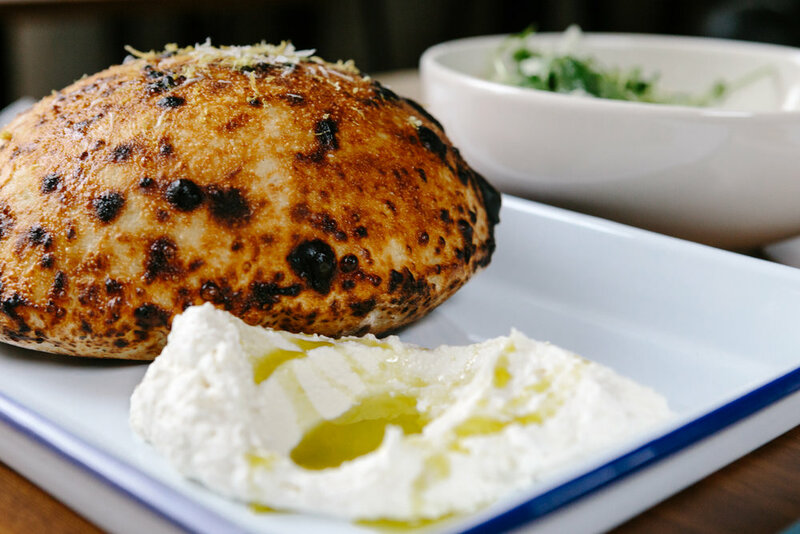 Oh, and the Bocce Bread - a puffed-up, tear-able pizza dough served with whipped ricotta and olive oil - is not to be missed. 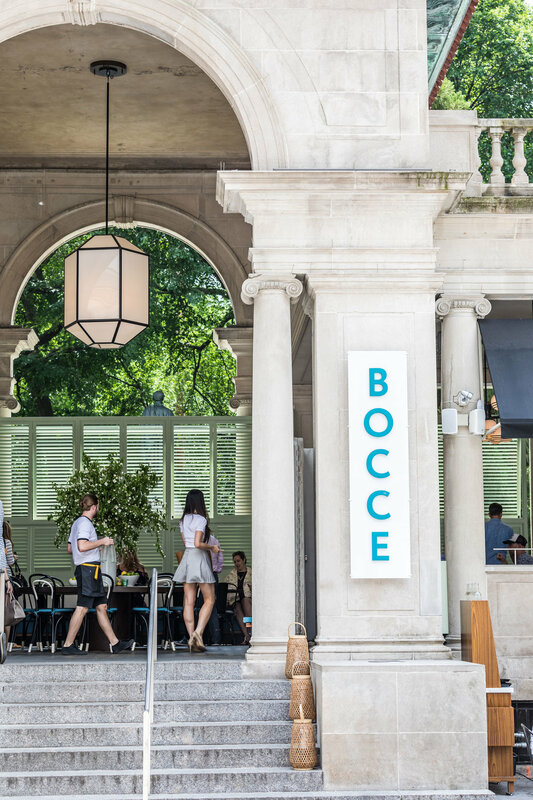 New for this year are a selection of sandwiches, salads, and even gelato! 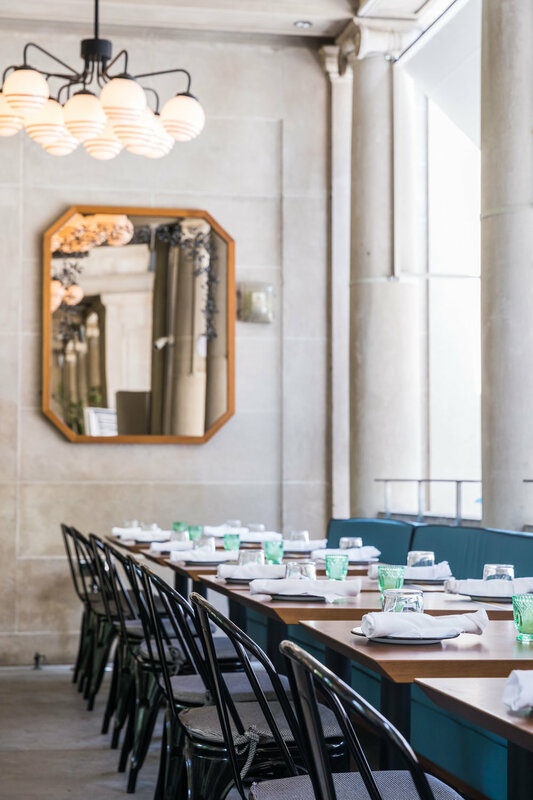 You should really be planning every lunch meeting and summer-night dinner here because there's just too much goodness. 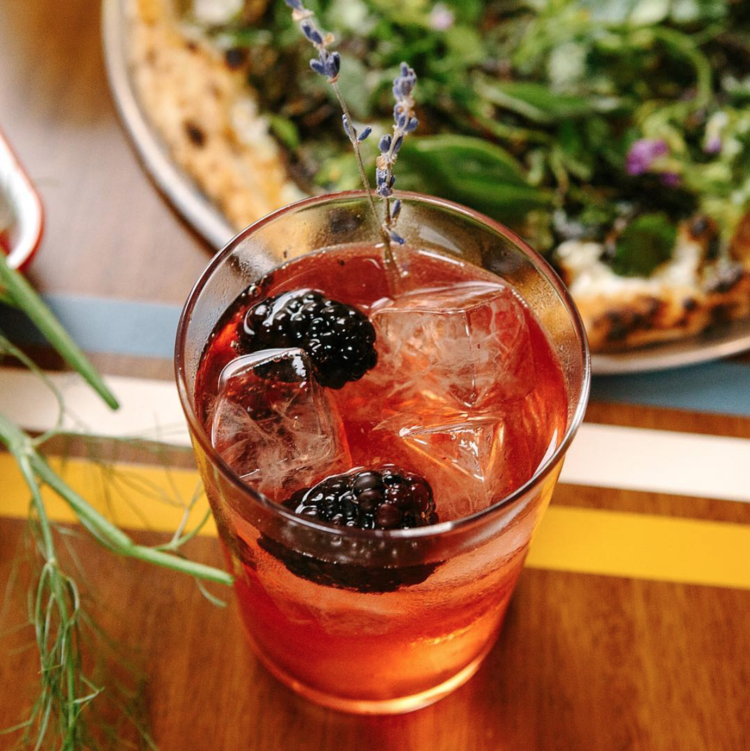 Yes, Bocce's food is great, but the drinks are equally fantastic. 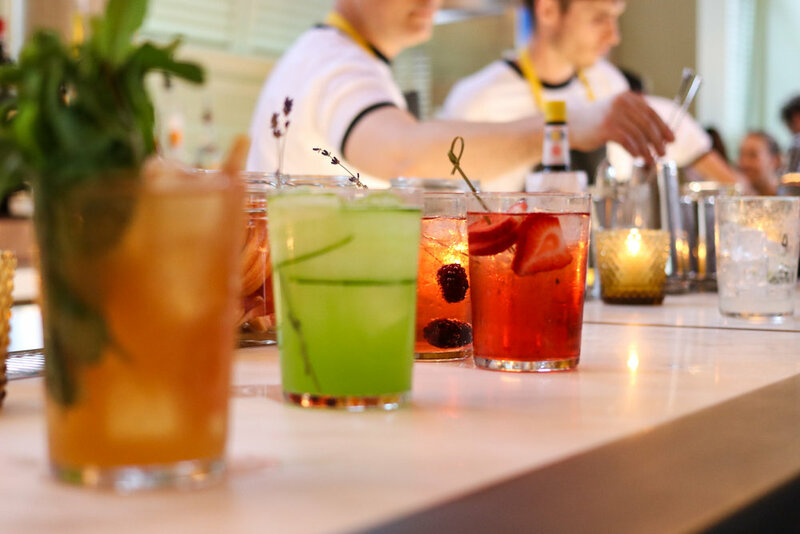 In addition to the aforementioned Aperol Spritzes and Negroni Slushes, look forward to assorted classically and seasonally-inspired cocktails and sangrias, a selection of Italian wines by the bottles, buckets of wines in a can, and local and Italian beers. 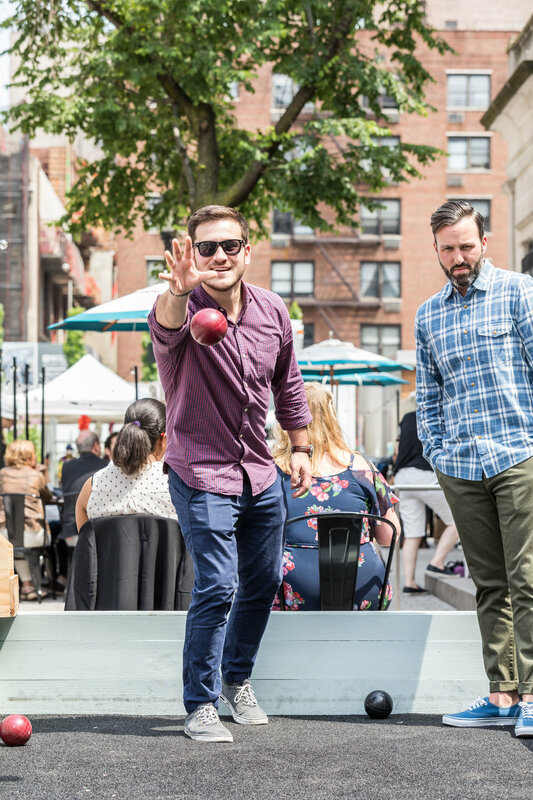 We’ll be getting our boozy bocce game on here every weekend! 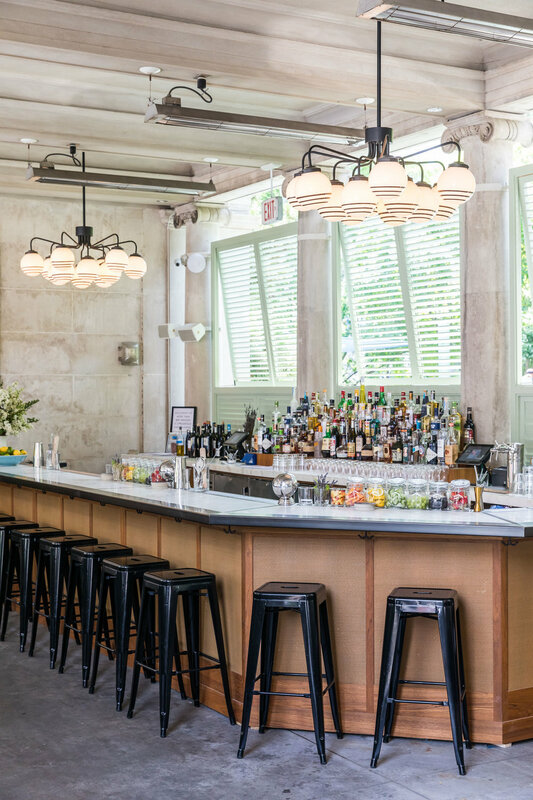 Last year, managing partner Jason Leeds oversaw a top-to-bottom redesign of the historic Pavilion space, including a new kitchen, bathrooms, windows, awnings, lighting, furniture, and a re-imagined Imperial Danby granite bar, as well as the restaurant's namesake - an outdoor bocce court and court-side bar. Not much has changed since last year, but what else do you need to know? 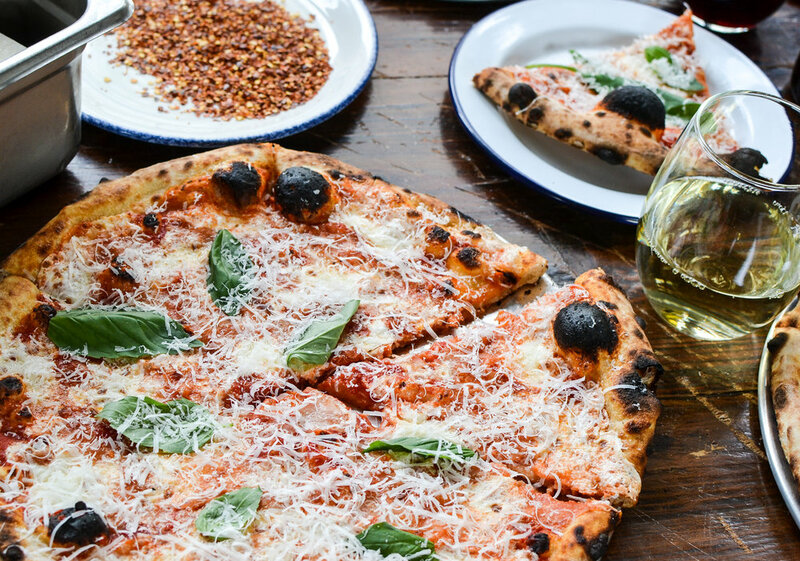 Outdoor seating, open air interior seating, pizza, spritzes, rosé, bocce. Done. 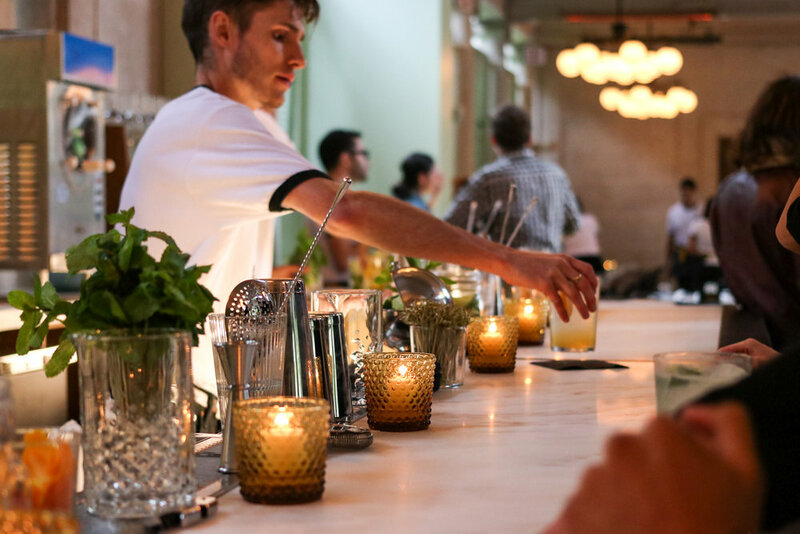 Last year, Bocce Union Square quickly became a valued partner to the neighborhood. 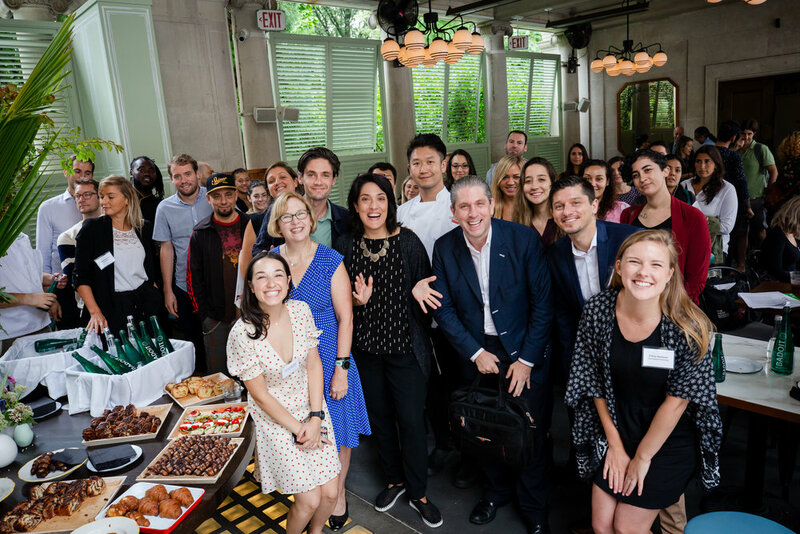 In September they served as the Restaurant Chair for Harvest in the Square, USP’s annual food and wine fundraiser for Union Square Park, hosting neighborhood chefs and partners at the annual Chef’s Breakfast, and serving up Harvest Pizza and running games on their bocce court during the event. 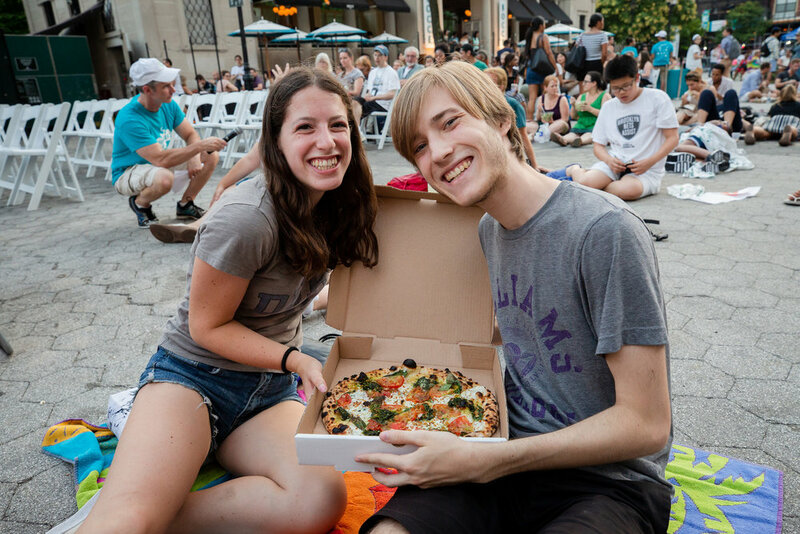 Plus, over the summer Bocce partnered on USP’s Movie Nights, delivering fresh pizza right to movie-goers seated on the North Plaza. This season Bocce will host a number of free events throughout the year that the community is encouraged to attend. 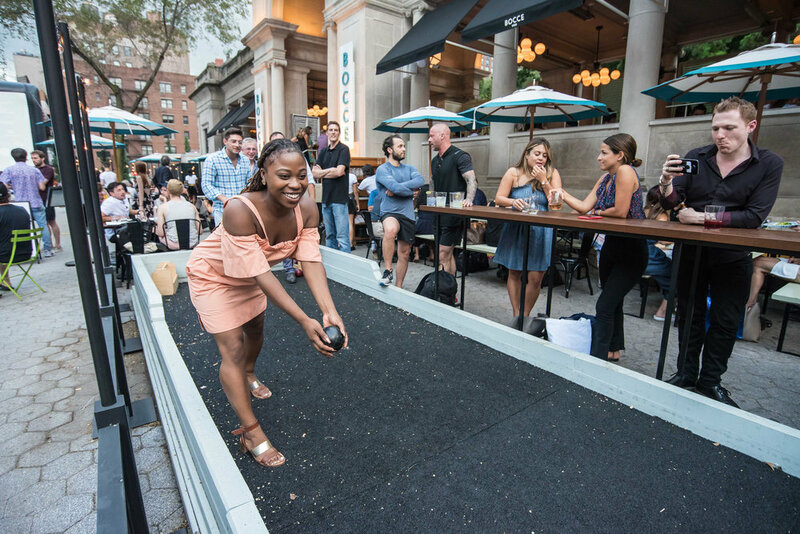 There are also plans to develop a weekly Bocce League and an end of year Bocce Tournament, bringing healthy, friendly competition to Union Square. Visit www.bocceusq.com for more details!